I was spot on.The FTSE fell hard yesterday, down 172 pts. That is what I expected to see in a third of a third. The move is wave (iii) inside wave iii (circle) and it is not over yet. The trade war worries are intensifying, if Trump thinks a trade war is good for the US he is mistaken. Harley Davidson announced that they plan to move production abroad in order to avoid EU tariffs. If they move production abroad it means the people working in the US will lose their job, the jobs will be created abroad. I don’t think people who voted for Trump will be happy about the move. But this is what a trade war does, the US will lose on many fronts. For example if China puts tariffs on US Beef, Chinese firms will buy French beef instead. If airlines companies don’t buy Boeing they will buy Airbus ...A trade war benefit those who are not engaged in a trade war. The stock market is going down as a result of the growing trade war tensions because Trumps is going ahead with his plans. He can make a u-turn and the stock market would rally. Or he could negotiate better terms with China and the EU and the stock market would rally. Will he? That is the question. I believe that if the stock market continues to decline he will intervene because one of his objectives is to boost the stock market. 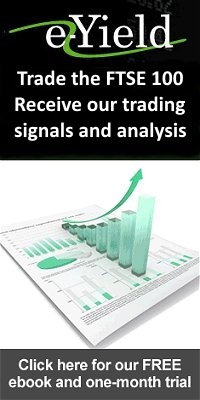 So while the forecast is down you need to be cautious when the stock market is too low do not hesitate to take profits. These profits could vanish quickly if Trump changes his plans. I wonder how low the S&P 500 will go before we see a significant rebound. But it will rebound. Don't have the time to trade? To receive all of the day's posts in a single email at the end of the day.